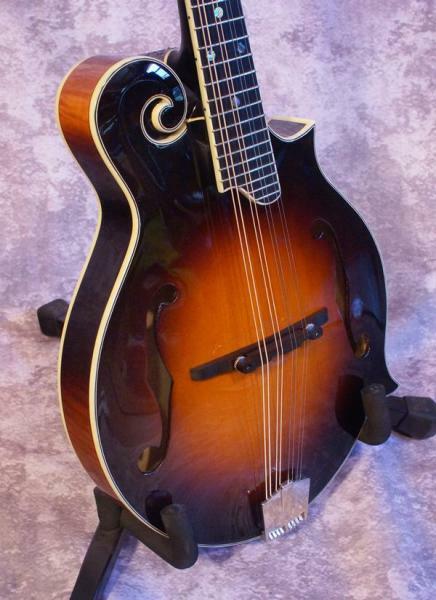 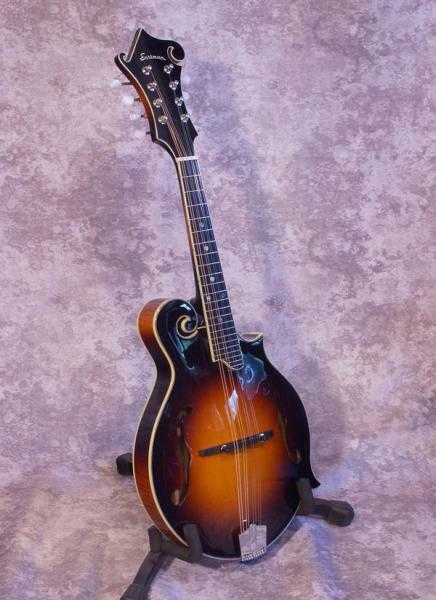 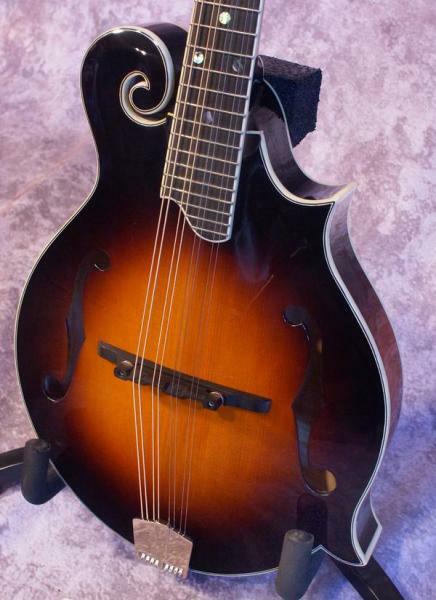 An upscale high quality F style mandolin from Eastman with fabulous tone and projection. 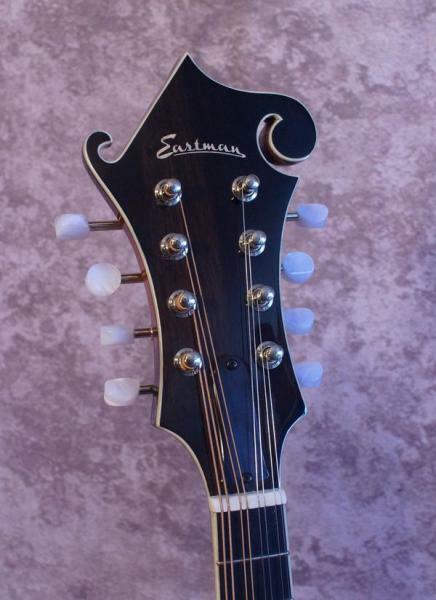 This model now includes an internal pickup for plug and play ease. 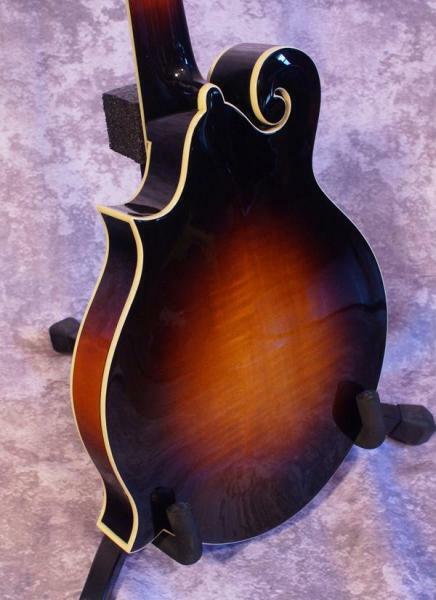 Solid Spruce top, solid Flamed Maple back, neck, and sides, ebony radiused fingerboard, Schertler pickup, high gloss nitro cellulose lacquer sunburst finish, fitted case included.